Looks awesome! been debating doing my bumpers on the Tradesman . Looks fantastic!!! Way more aggressive looking now! Great rig!!!! I think with Plasti-Dip you can paint right over anything, they have a prep spray to clean ? There are Youtube videos , I was looking at doing it on mine. Re: bstefanic's Build - 2013 2500 - "Wanna Be Wagon"
Hows the oil burner treating ya?! Lovin it! Unfortunately really haven't been home enough for quite a while to put it through its paces. Did do a cross country tow last year with the same weight that I did previously with my Power Wagon...and the difference was incredible. 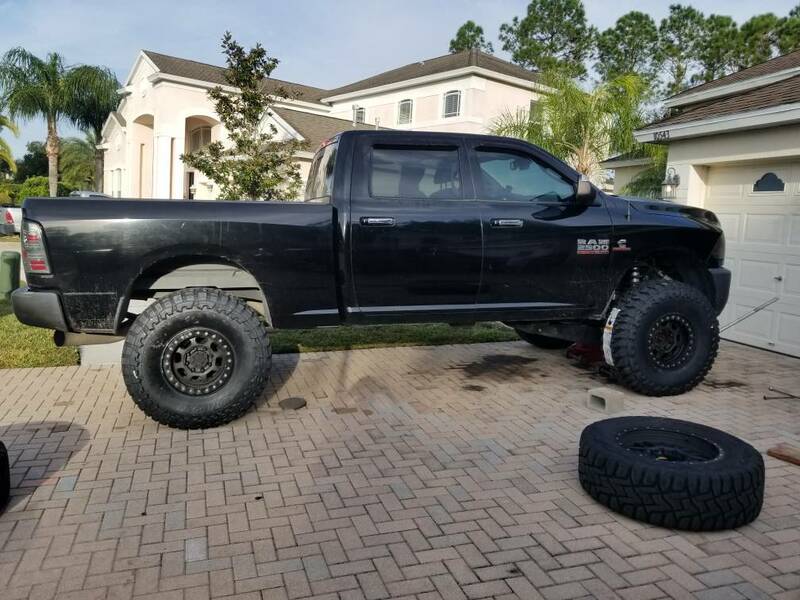 The cummins is dangerous though...you could easily go broke buying aftermarket parts for it. Have been steadily going through and knocking out the laundry list of things left to do. The previous owner apparently huffed a lot of paint as a kid...as you can see with the wiring of the headlights. Luckily he didn't do any work that would have caused long term issues. Front locker and gears still need to be thrown in, hopefully will knock that out over R&R. Thuren bumper, LT leafs, free spin hubs, head studs, along with a few other things are still left to do as well. 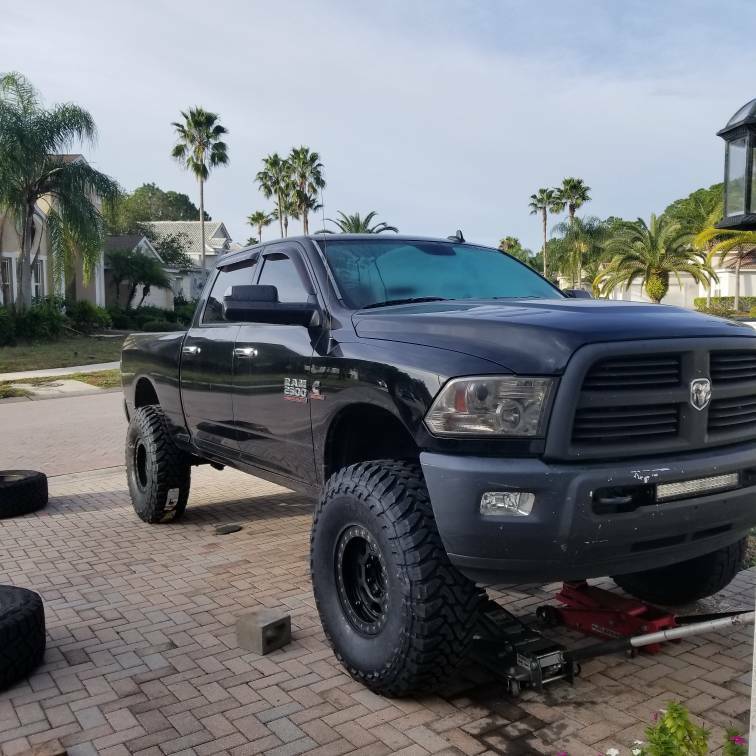 Was able to get a little work done on the truck while I was home. Had the 4.56s and front ARB installed although haven't actually had a chance to hook the locker up. Up front....Nitro 4.56s are loud, talked to Nitro and they acknowledged that this particular gear set is the loudest they sell. I'm still not 100% sure some of the noise isnt from the set up....particularly the preload. This summer I'll be bringing it back to the shop for the 500 mile break in fluid change to have the preload and pattern checked again. I will say with an ambient temperature of 85 degrees and after a 60 mile trip the diffs were only at like 135 so they're staying pretty cool. Also got the 40s mounted...was pretty surprised at how little trimming was required to make them streetable and they only rub a little on the upper arms of the Aliens. To actually use the full suspension travel will take a decent amount of work mostly in the front. The fiberwerx flares came in and will be going on this summer which will help a lot with either a new bumper or some trimming. I don't want to jinx you, but I've heard a lot about those Nitro's. 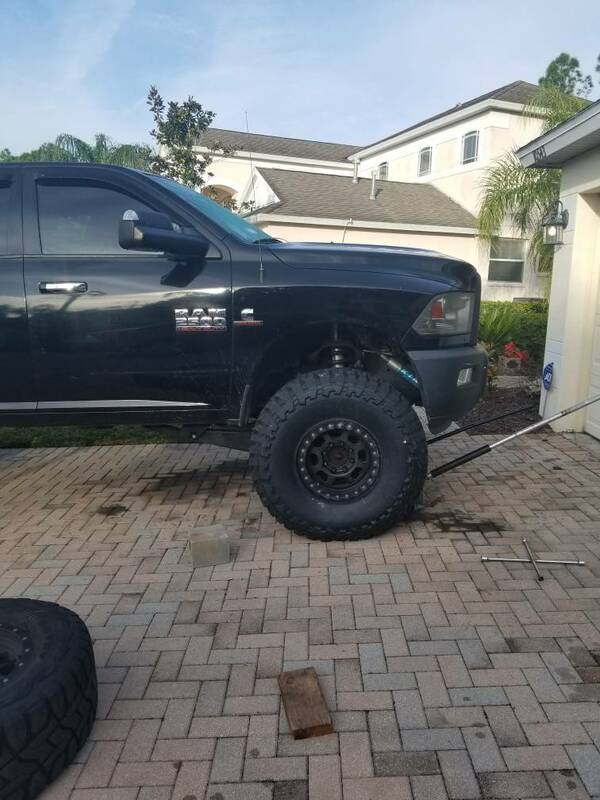 Buddy had them and ended up swapping to Yukon because the noise got worse. I hope those quite down for you. The back will need trimming too. Reloaderguy wrote: The back will need trimming too. Oh yea I plan on cutting an inch or two around the entire wheel well to clear them at full stuff. Yea...to be up front their customer service has been great and they didnt beat around the bush about that set being noisy. On me for not doing my research better when I bought them a couple years ago but it was part of a group buy and got a pretty good deal.